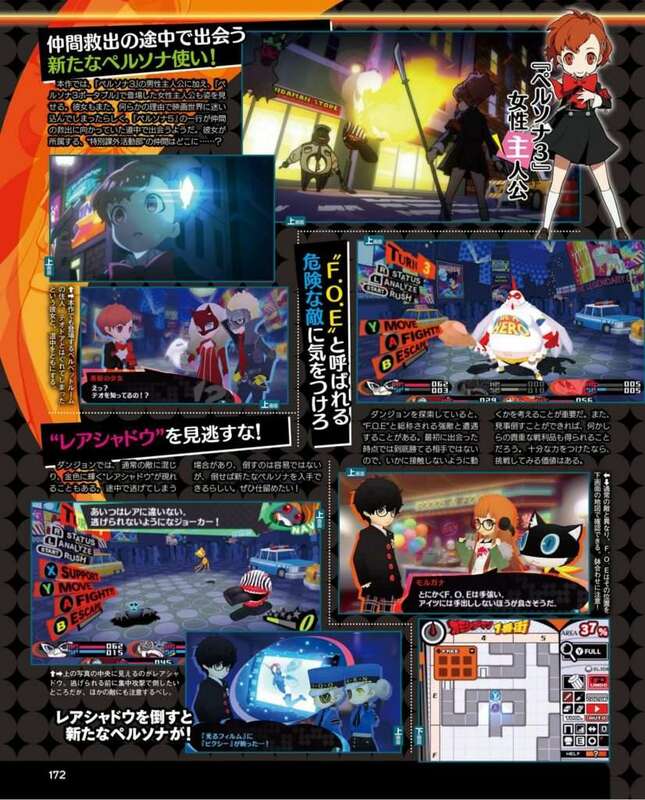 As previously announced, Weekly Famitsu magazine issue #1554 includes a feature on Persona Q2: New Cinema Labyrinth about the game’s opening. The story of this game begins from a point where the Persona 5 protagonist wanders into a strange world and pops out of a screen into a place that looks like a movie theater. 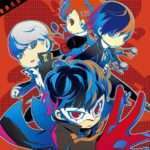 When this happens, however, two people who should be there with the rest of the characters have disappeared: Makoto Niijima and Haru Okumura. 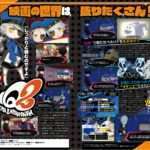 The Phantom Thieves then meet Hikari and Nagi in the movie theater. After the two hear what they have to say, they conclude that Makoto and Haru were left behind in the movie. 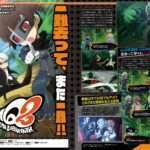 Suddenly, a movie trailer appears on the screen featuring a character that looks like someone who shares an important connection with the main character of Persona 5: Kamoshida. 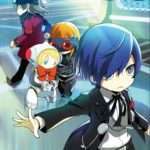 In addition to the male protagonist, the female protagonist featured in Persona 3 Portable appears in this game. 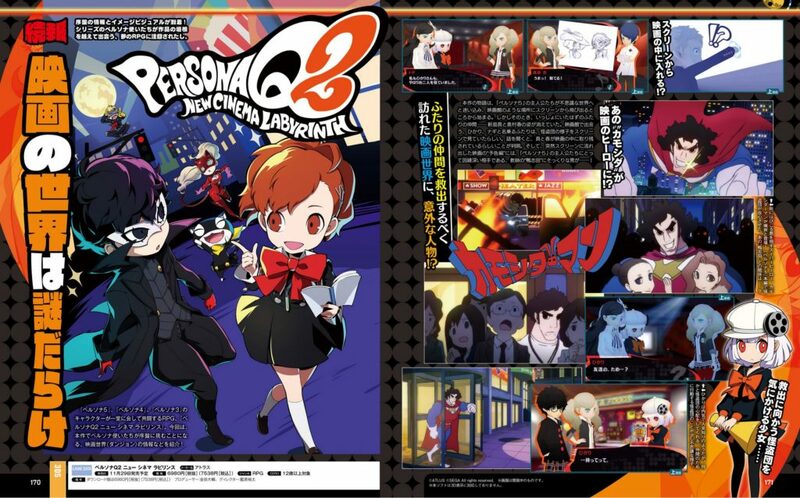 She has also wandered into the movie world for some reason, running into the Phantom Thieves who are looking to rescue their lost teammates. Where is the SEES group she belongs to…? 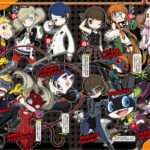 As with previous games, rare shadows appear in Persona Q2 in gold. They are hard to beat, but defeating them will obtain a new persona. When exploring the dungeon, strong enemies can be encountered called “F.O.E.” These are not enemies that can be defeated upon encountering them for the first time, so it is important to think about how to move around them without running into them. If you can defeat these enemies, valuable items can be obtained, so they are worth challenging if you are strong enough. Unlike normal enemies, their position can be seen on the map in the bottom screen.